Today, Chrysler announced a recall for an estimated 184,215 SUVs due to a possible short circuit in a aprt that could disable the airbags and seat belt pretensioners. It’s a malfunction that is identical to a September Ford recall. 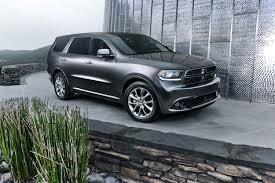 The specific models impacted by the recall are the 2014 Dodge Durango and Jeep Grand Chrokee SUVs. Chrysler said that they are unaware of any deaths or injuries linked to the malfunction. This recall includes approximately 126,772 vehicles in the UNited States, 8,106 in Canada, 3,722 in Mexico, and another 45,615 outside of North America. This entry was posted in Chrysler, Dodge and tagged 2014, Dodge Durango, jeep grand cherokee, recall. Bookmark the permalink.